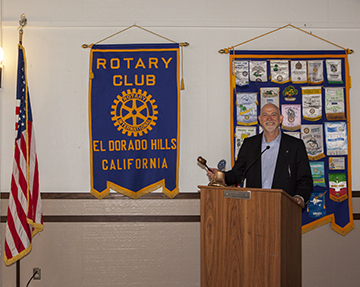 Outgoing President Coy Baugh rings the bell the final time after presiding over his last regular club meeting for the 2013-2014 Rotary year. Speaker Linda Lewis of All About Equine Animal Rescue in EDH told us about the wonderful work being done by this non-profit organization. 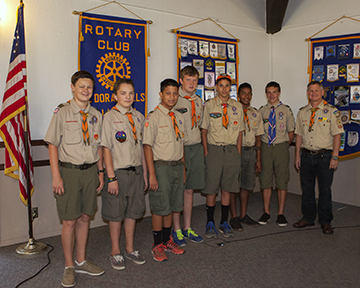 Representatives from our sponsored Boy Scouts were also present. 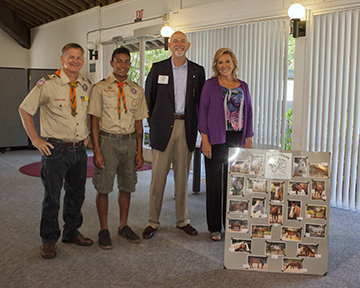 One of the scouts also told us about his Eagle project consisting of building goat shelters for All About Equine Animal Rescue.